Charles “Chuck” W. Massie, 69, died peacefully surrounded by family in his home in Hammond on March 22, 2019 after a yearlong battle with cancer. Chuck was born in Medina, OH to Charles A. Massie and Joanne (Schorle) Cohen on April 16, 1949. Chuck is a graduate from Morton High School, Class of 1967. Following high school Chuck enlisted in the U.S. Army. He served two tours in Vietnam. While serving his time in the army he became Special Forces as a Pathfinder and Paratrooper. Chuck earned many accolades and was a decorated soldier. Chuck worked at ArcelorMittal for 48 years and at Papa John’s Pizza for over 20 years, his fun job as he would say. Charles married Kimberly (Hosler) Massie on June 19, 1982. Chuck was a resident of Hammond for over 50 years. Chuck was a loving father, husband, son, brother and friend who will be dearly missed. Chuck is preceded in death by his father, Charles Massie. Surviving in addition to his wife, Kimberly (Hosler) Massie of Hammond, is his mother Joanne (Schorle) Cohen, Hammond, IN, four children, Alexia (Massie) Seiler of Indianapolis, IN, Heidi (Frank) Montiel of Kenosha, WI, Nicole Massie of Hammond, IN and Charles Massie of Kenosha WI. He is also survived by his sister Cheryl (Massie) Hanshaw of Wooster, OH and Curt Massie of Hammond, IN. 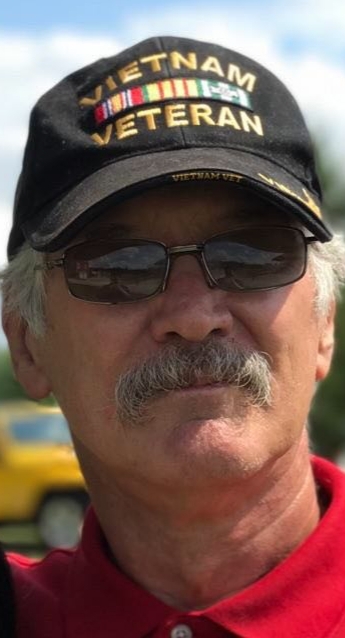 Chuck was a loving grandfather and is survived by his seven grandchildren, Rhegan, Hailey, and Logan Seiler of Indianapolis, IN, Mark, Matthew, and Luke Montiel of Kenosha, WI and Charlotte Massie of Hammond, IN. In addition, Chuck is survived by his mother in law, Ann Hosler of North Aurora, IL, and numerous nieces, nephews, cousins, aunts, and uncles. Memorial services will be held at Bocken Funeral, 7042 Kennedy Ave., Hammond, IN 46323 on Sunday March 31, 2019 from 2 p.m. -8 pm. In lieu of flowers, the family is asking that donations can be made to The American Cancer Society.